When the underground sanctuary that Eva Nine was raised in by the robot Muthr is destroyed by an invading alien, the twelve-year-year-old girl is forced to flee above ground. Eva Nine is searching for anyone else like her: She knows that other humans exist because of an item she treasures -- a scrap of cardboard on which is depicted a young girl, an adult, and a robot, with the strange word, "WondLa." Breathtaking two-color illustrations throughout display another dimension of the tale, and readers with webcams can also view Augmented Reality that reveals additional information about Eva Nine's world. 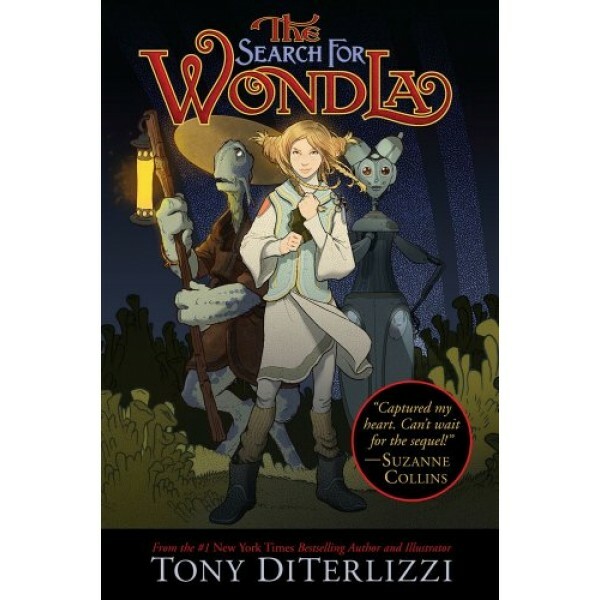 Tony DiTerlizzi honors traditional children's literature in this totally original space-age adventure -- one that is as complex as an alien planet, but as simple as a child's wish for a place to belong. 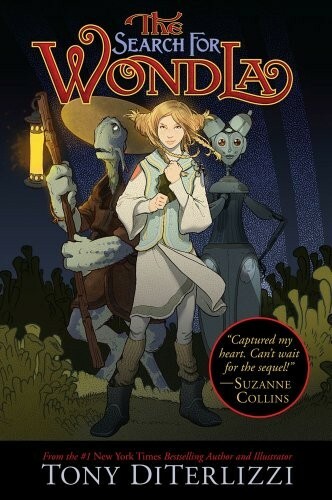 The first book in a trilogy, Eva's adventures continue in the sequels, A Hero for WondLa and The Battle for WondLa.